Part of the parish of Bromley, Bickley itself began as a small hamlet called Cross in Hand near the present Chislehurst Road. Apart from this and the neighbouring hamlet of Widmore, established by 1626, the area was virtually uninhabited until the eighteenth century, although the name, meaning Bicca’s clearing, was recorded as early as 1279. By the middle of the eighteenth century a hunting lodge had been established on the heath land, which provided good cover for foxes and in 1759 John Wells bought the estate and gradually converted the lodge into Bickley Hall. 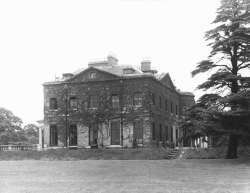 In 1841 his son went bankrupt and eventually passed to George Wythes who began the development of the Bickley Park estate in the 1860’s. 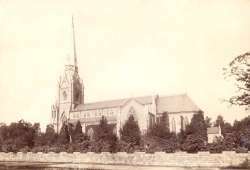 The houses were of the larger type with grounds of 2 to 5 acres each and soon the area was covered in new roads, with St. George’s Church opening in 1864 to serve them. The Water Tower built at the top of Summer Hill was designed as an imposing entrance to the private estate. The Wythes left about 1908 and leased the hall to a private school. Piecemeal development took place on the periphery of the park until the mid 1960’s when the rest of the land was sold for development; as a century before, large expensive houses predominated but on rather smaller plots. Many of the original Bickley houses proved too large for twentieth century tastes and were short lived, replaced by smaller but still up market modern developments. Some of the late nineteenth century and Edwardian properties have proved more durable though and a considerable number continue to fulfill their original function as family homes while others have been converted into desirable flats. Apart from a few shops at Widmore Green and Southborough, Bickley remains entirely residential, almost completely devoid of shops, pubs and business premises. Residents must travel to Bromley, Chislehurst or further a field for employment and commercial or leisure activities.